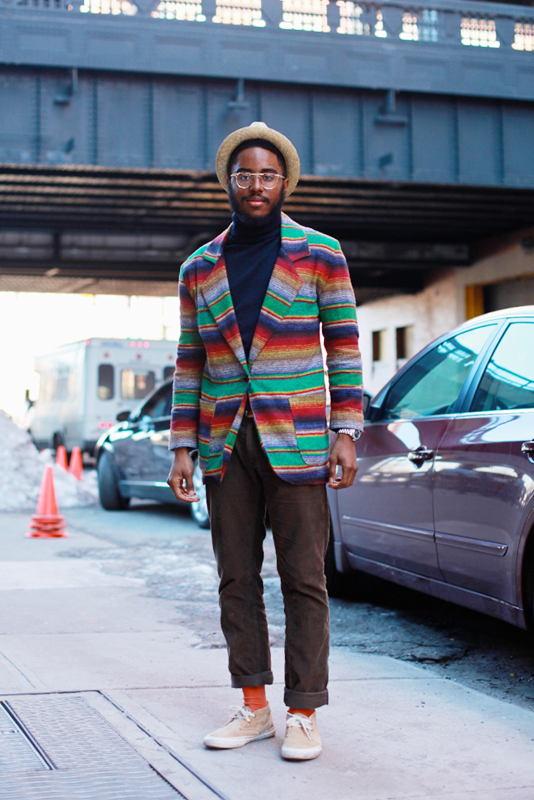 "What inspired my outfit is more so, I knew the type of event I was going to. I wanted to be casual and dressy, but also be comfortable. So that's what I wanted to wear. I'm also inspired by older figures in my life that influence me to dress how I dress." 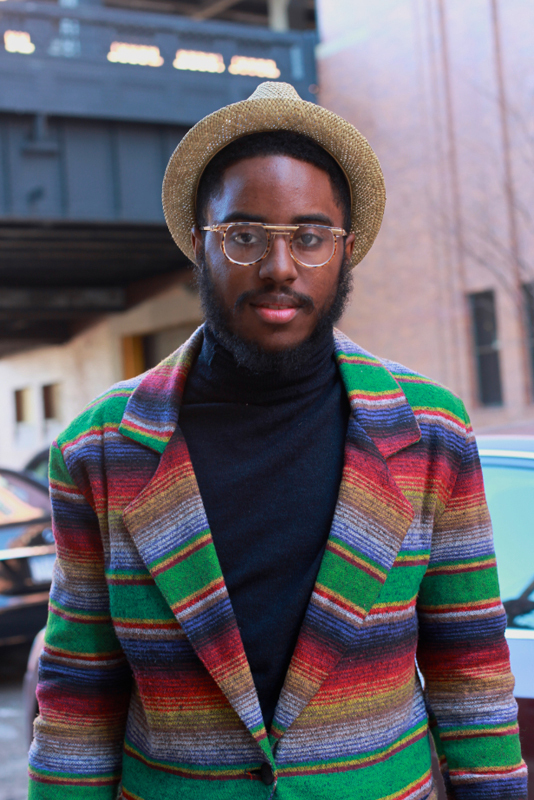 Curran J really stood out with this amazing sports coat. Something both Mexican blanket and Pendleton about it, right? 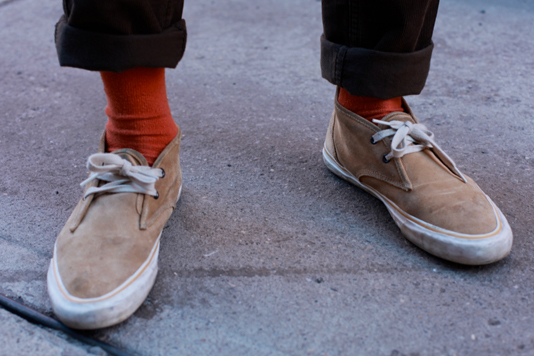 I like the rolled up pants (giving the impression of the high-water silhouette and reminding me of SF with our bike culture) with the orange socks worn with the suede (low-top) chukkas. Fabulous. I love this guy.